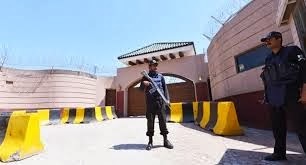 It has been reported that Five packets of explosives were found today near former Pakistani military ruler General Pervez Musharraf's farmhouse here, days after explosives were discovered on the road he was to take to a court. According to the police, explosives were recovered from the green belt on Park Road near Chak Shahzad farmhouse, Islamabad. Each packet contained around 400-500 grams of explosive material.